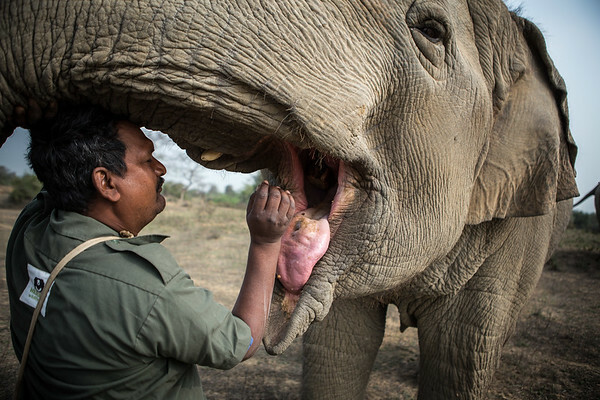 A member of Wildlife S.O.S feeds and inspects the mouth of one of the many elephants they have rescued. Agra, Uttar Pradesh, India. February 2015. Un gardien de Wildlife S.O.S nourrit et inspecte la bouche de l'un des éléphants secourus par l'organisme. Agra, Uttar Pradesh, Inde. Février2015.